This morning, a reader alerted me to a comment left on an article discussing Elizabeth Warren's ancestry. They asked if my team and I had the Arkansas marriage license in question and if I could address the things claimed in the comment. I say if we can show one thing said is wrong, then everything else said in the comment is suspect as being incorrect as well, therefore it isn't necessary to respond to everything written. By the close of the century, whites were flooding into Indian Territory in the hope of getting free or cheap land because they knew allotment would be taking place. Unless they had a permit, these people were there illegally and considered intruders. 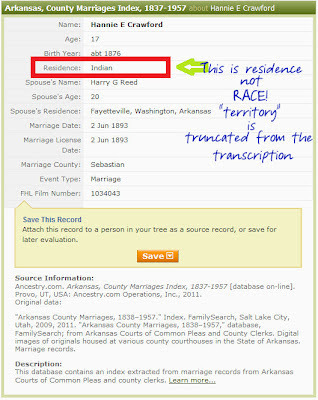 Though it has been claimed this document says Elizabeth Warren's ancestor is listed as Indian, you can see it doesn't. 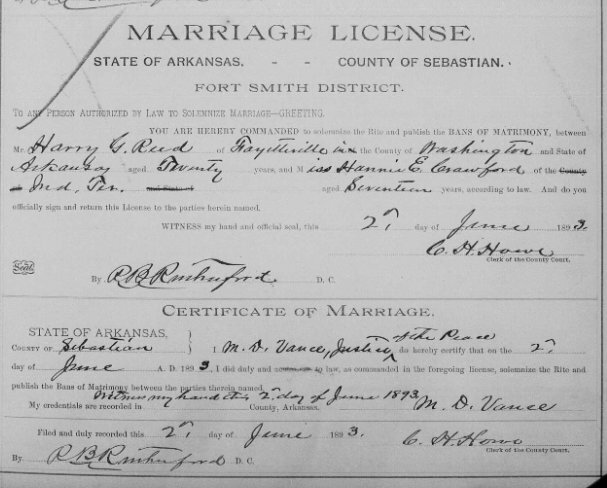 "Elizabeth Warrens grandmother was married in Sebastian County Arkansas to Harry G Reed in 1893. The Record lists Harry living in Fayetville but lists her grandmothers as INDIAN." We have the documents. Her ancestors were not Cherokee. *Note - If a white man married a Cherokee woman, he had to get a permit from the Cherokee Nation prior to the marriage. In order to get that permit, he had to supply signatures of witness saying he was of good character and he also had to put up a sum of money/bond. 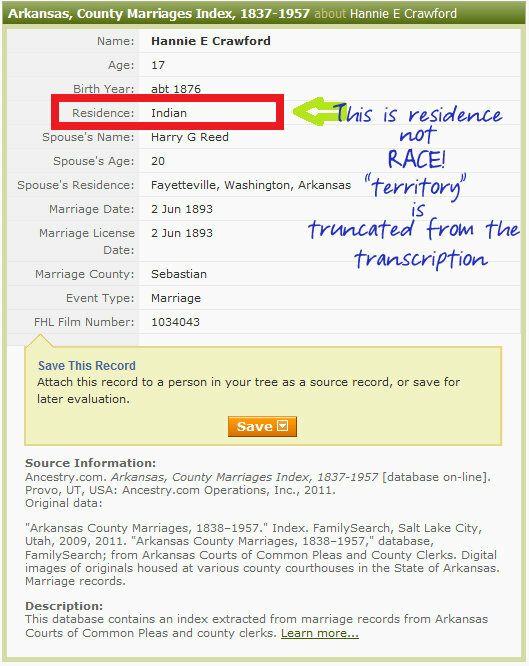 If Ms. Warren's ancestor was Cherokee, as previously claimed, where is the permit for the marriage from the Cherokee Nation? 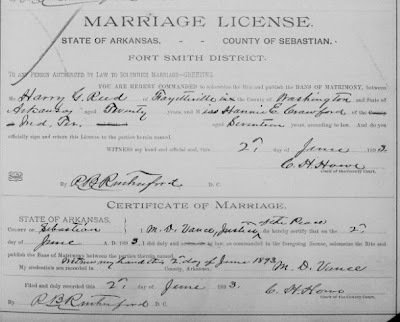 Just a little to think about while reading and evaluating this marriage certificate!